One of my vegan friends raved to me about a company called Gourmet Body Treats. I was delighted to see that they carried a variety of hard-to-find vegan products, particularly cosmetics with creamy textures. One of these specialty items is their Hydrating Vegan Lipstick, which comes in a broad range of cruelty-free shades from natural to deep reds and even black. This lipstick was very creamy and had a nice, smooth texture. With darker shades, I highly recommend applying with a lip brush for the most precise application. While $30 for a full-sized tube is a bit of an investment, I was glad to see that there are samples available for only $3 so you can try a lot of shades without worry. 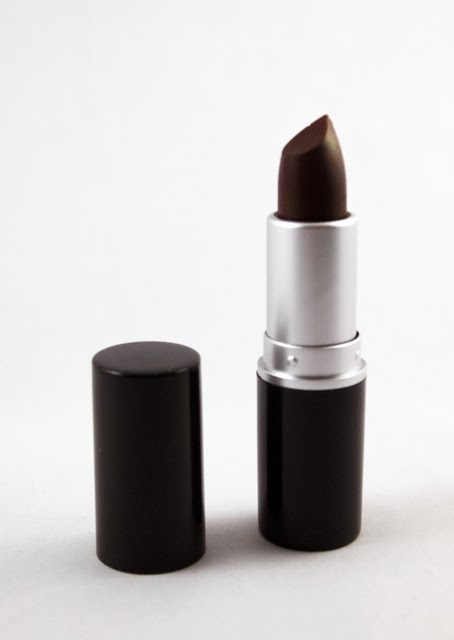 This lipstick rates a low 1 on the EWG Skin Deep database, which is great for a lip product. If you're looking for vegan lipsticks, particularly in hard-to-find shades such as deep reds or blacks, I highly recommend trying some samples for Gourmet Body Treats.